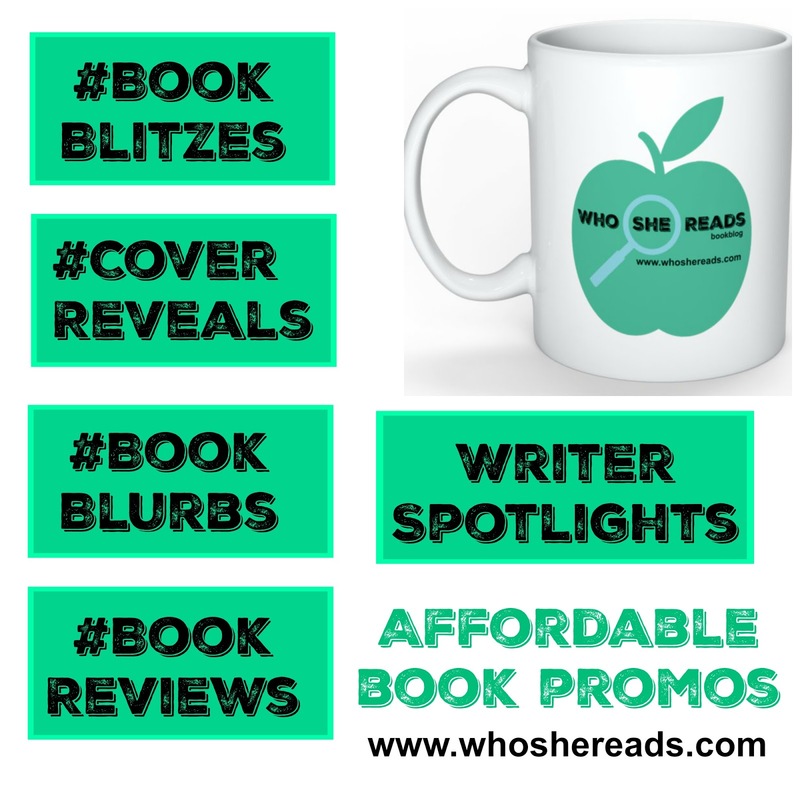 Here, I will share my love of books, do author promos, book reviews, book tours, cover reveals and help connect emerging authors with awesome readers a few books at a time. since my stepmother taught me to read at the ripe age of four. 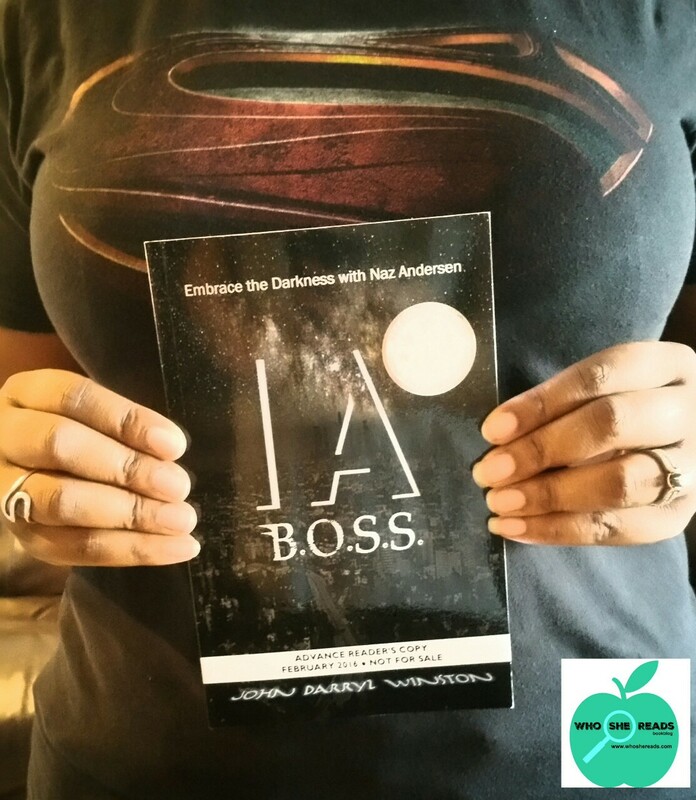 Stories helped me escape the harsh realities of the household I grew up in and opened my mind to possibilities. I learned, I dreamed, I desired, I laughed, I cried, I hoped. I read. Reading saved my life. With the invention of e-readers and apps, the reading experience has changed a little. Remember when you could almost tell how good a book was by the creases in the spine and the fanning of the pages. Now we turn to review sites, social media- Instagram and YouTube for everything, even to tell us what to read. I still buy an occasional paperback for the experience and truthfully for the rest it gives my eyes. I didn't get as many eye strains before digital media came along or did I? Books move me. No, that is not right. Stories move me. I can escape into a really well written story or article and find adventure for a little while in a great short story. I enjoy seeing the writer's vision, being drawn into the tale, imagining the dew on the blades of grass, feeling the chill in the air, seeing the crack at the end of the sidewalk, the bloodstain on the banister, feeling the fear and trepidation of the hunted, the shift in the mind of the submissive, going into battle with a hero and feeling the soft breath of a lover's whisper on my neck. 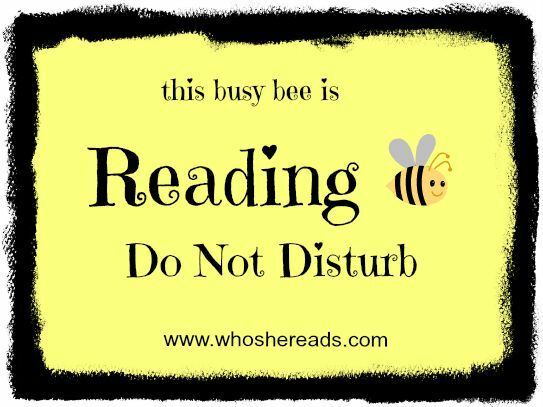 Ah.., the love of reading! I have read many good books and many... not so good books and I chalk them all up to experience. I am happy there are such creative people in the world who can weave such awesome tales, create amazing worlds, and diverse characters, along with complicated plots and story lines that make you never want to stop reading. Let us not forget the truth tellers. The ones who write about real life and experience and circumstance and we allow our minds to open to their view, their pain and sometimes, we are forever changed. Be respectful of my book space and opinions. Please do not be petty about my opinions and interpretations or ramblings. I am not a literary scholar. I am just a chick who likes to read books, eat great food and have an occasional glass of wine. An apple a day keeps the doctor away and a book provides oh so much more! I like fiction novels, shorts and poetry of most genres. I like books written in series. I like books that make me laugh out loud, talk to the characters, surprise me, make me think, and make me excited to read that author again. I really like new adult and adult fiction. Books about vampire, fantasy, mystery, romance, erotica, suspense, a little sci fi and lots of paranormal and shifter romance, but am open to other genres. I have read some crime novels that were very good and at times will read horror. I will occasionally read wolf, lycan, and werewolf based stories, but lets face it, the majority is usually one preferred over the other. I am definitely team Vampire. 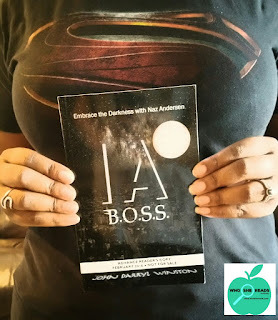 I am loving the opportunity to read indie authors and new, up and coming writers. 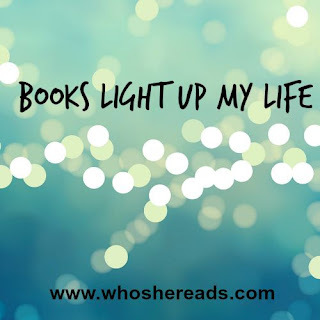 There are a lot of great books out there by indie authors that are flying under the radar and my hope is to help you find, connect and enjoy them so you can tell others. I read some young adult (YA) books. I do still buy physical books sometimes and then end up donating them because I do not reread stories. Is that odd? I also love when authors send me physical signed books. I have a special place on my bookshelf for those books. I am a sentimental gal. Besides loving to read and talk about books, I perform wedding ceremonies and photograph couples throughout Orlando and Central Florida as a professional wedding officiant. I am married and in my late 40's. I have 3 adult kids and 2 lovely grandchildren. Before I became plus size, I did a little acting and modeling. I later worked for the Orlando courts for 10 years and a few Fortune 500 companies and then did Benefits Outsourcing (BPO). I also worked for a short while as a contractor for XBOX . It didn't help my gaming one single bit. I frequently suffer chronic disabling migraines accompanied by bouts of anxiety and depression, so I had to stop working traditionally and am solely self employed. I started this blog because reading makes me happy and to offer author promotions and paid multi site reviews to replace my lost income. 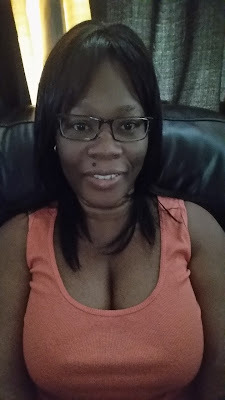 I blog and read primarily from my home office recliner. I love food, especially chocolate and pasta and have an unhealthy obsession with superman t-shirts and cake. I like music, art, movies, plays, photographs, the beach and shoes. Reading a great Vampire story, having a glass of wine, a piece of cake and wearing a superman tshirt. See books I am reading or reviewing here and on Goodreads! I read emerging authors and writers for review and amateur proof requests for hire. Hey a #girlsgottaeat! 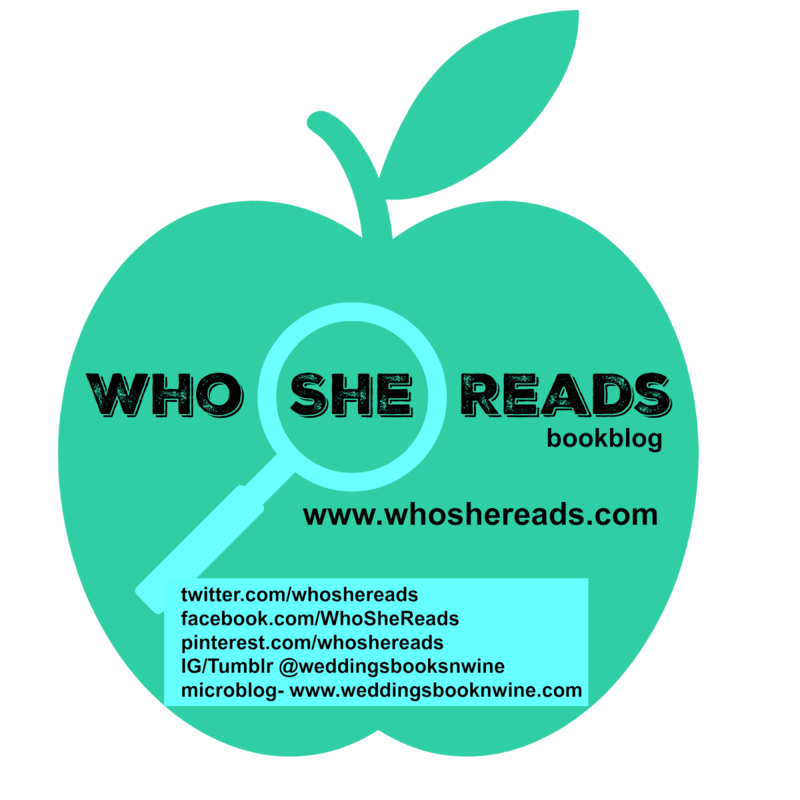 Follow me on Twitter @whoshereads to be up to date on what's happening on the blog plus there are lots of cool writers, authors, journalists, book promoters, reviewers, readers, publishers and bloggers hanging out with me. 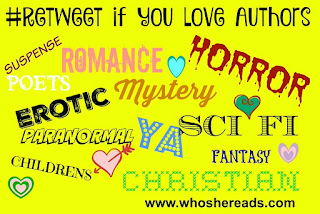 I re-tweet cool book stuff! I have an impressive author list on Twitter and it is growing daily. Real people, not bots. No purchased lists with fake accounts. I am putting in the work. Some authors will be featured in Writer Spotlight . 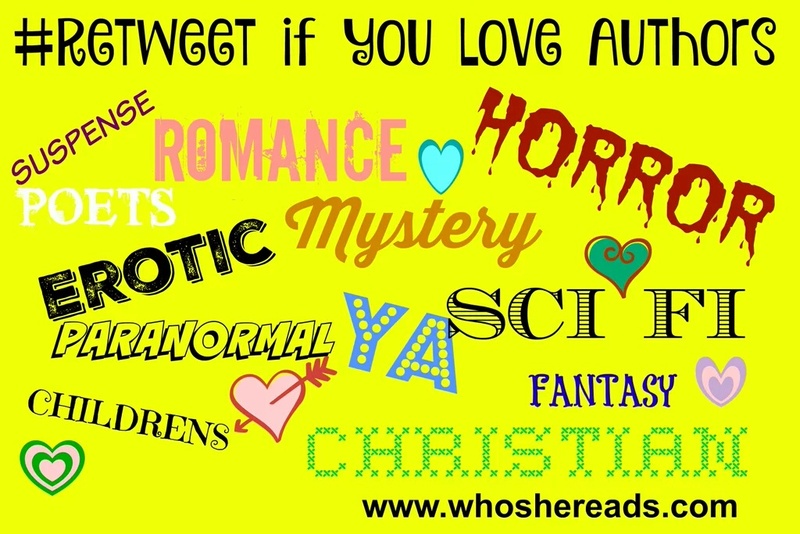 See what they tweet about all day long in the feed on my author twitter list. Get access to free and on sale books they are offering right away! Some of the tweets are hilarious! 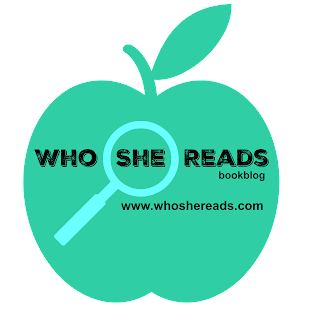 Help support the operation of this blog by clicking on and buying books directly offered from this site, purchasing promotions, becoming a partner, making a donation or requesting paid reviews. Thank you!